By using a semver range in your packages.json file, you may end up in a situation where your config says some package dependency needs to match version ~4.17.2, so your development machine pulls down 4.17.3, tests are run against 4.17.4 and by the time production is deployed, the library author has made another update and so your production software is running 4.17.9. I say again, production! There are plenty of cases of library authors accidentally (or without realizing the effects of their change) pushing breaking changes with a corresponding version bump that result in consuming code crashing due to broad version matching. 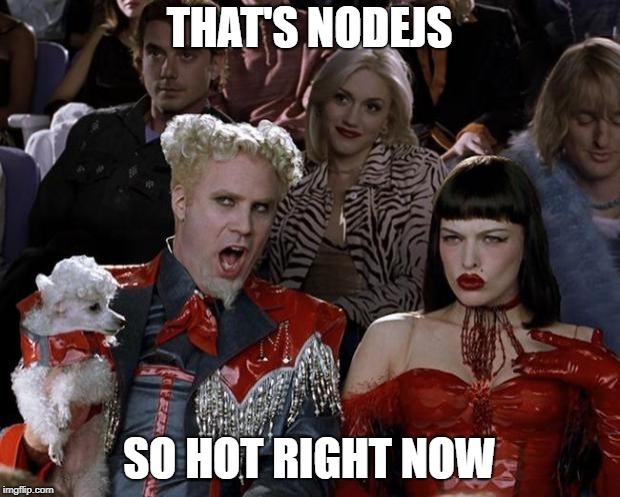 The problem is exacerbated by the complex dependency chain that can occur in node_modules. For instance, when an explicitly dependent module A, depends on some version range of module B, which itself depends on some version range of a bunch of other modules. 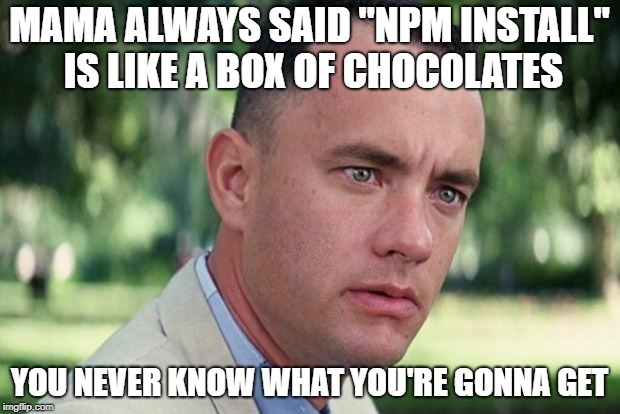 Remember when you run npm install it's not just your modules which are dynamically determined and resolved. Every time you deploy the application YOU ARE DOWNLOADING NEW, POTENTIALLY UNTESTED DEPENDENCIES! And that's assuming everything goes well. Even though npm no longer supports pushing new files to existing versions, I have heard of more than one occasion where production releases fail because the packages were unable to be downloaded due to npm being temporarily down or, ya know.... network stuff. This failure to install is often accompanied by overwriting the old version, resulting in a server that is effectively worthless (or worse) until access to npm is restored. In one case, a user was performing this "fresh install" process each time their AWS Elastic Beanstalk tried to spin up a new web server when the existing farm was under load. With the npm servers themselves experiencing an outage, the new servers failed to come online, and the inability to handle some of the traffic ended up bringing down the existing, previously fine website. This is after the original deployment had already "succeeded" many days ago, and the same product version was being deployed to new servers. > zip -r ../RandomQuotes.1.0.zip . The generated zip can then be extracted on my production servers making the application ready to run as-is. In this case, however, we are zipping up the whole application directory, most of which contains the various libraries I used for debugging and compiling. I don't need all the typescript compliers, webpack libraries, and testing frameworks once everything has been built and is ready to be run in production, but how do we separate the dev-time dependencies from the production dependencies? If you run the npm prune --production then npm will remove all the packages from node_modules that are specified in the devDependencies section of your package.json. Even if you don't use our tooling, I recommend running this command prior to zipping up your entire project folder into an archive for your CD system, whether your deployment tool of choice is using Octopus Deploy, VSTS, Chef, or some manual process. To make this process simpler, Octopus Deploy has published a Node.js cli tool, octojs, to allow creating a zip (or tar.gz) archive without having to perform this prune step. The package name is generated by default using the name and version in your project's package.json; however these values can all be overridden. Octojs can be used directly through the console or imported and used in code as part of the build process. The octojs library is open sourced on GitHub along with gulp and grunt versions of these libraries that will help package your project during your build process (with a webpack version on the way). 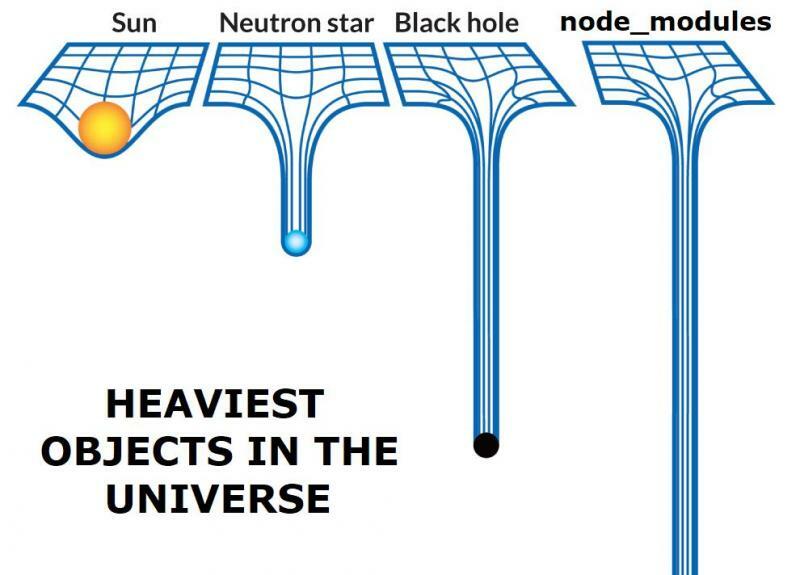 Node.js is a serious language, so we need to start treating it seriously in our CD pipelines. This means performing downloading dependencies and building (or transpiling) once on the build server and packaging the result along with its dependencies into a self-contained deployment package. Octopus JS libraries can help with this, but ultimately it doesn't matter what tool you use to package and deploy your application, what matters is that it's built once, and deployed across your environments. Friends may not let friends right-click publish, but it's also clear that they shouldn't let those friends npm install in production. Update: Check out a recent post where I provide some examples of how to get your environment specific configuration supplied at deploy-time.